La Jolla real estate is many things to many people. Many of those people conjure up images of the seals on the beaches, the cliffs, the beach lifestyle in general. It’s easy to day dream about the beauty this area holds. It’s not hard to imagine wanting to own property here either. For those few who can afford to own here, this is not a dream. This is a reality that sustains even the hardest of personalities. This is a place that can turn the toughest man in the world into a hippy dippy loving believer in beauty. 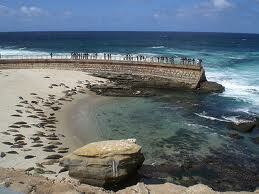 This is La Jolla and there is no place on the Earth like it. Luxury Homes for Sale in La Jolla can deliver to a buyer absolutely everything they could possibly want. You want views? La Jolla has got views? You want modern accommodations? La Jolla luxury homes have the most modern, up to date amenities in the market. You want privacy? In these homes and on the grounds of these homes you won’t even know you have neighbors. That’s right. It’s hard to find something these houses, or should I say estates, don’t have. And if you’re looking for something you don’t find, well it’s not impossible to make these dream homes your own by renovating. What I was most surprised about in La Jolla was the affordability of the houses here. Especially the La Jolla foreclosures for sale. These homes are just as nice, just as modern and just as private as the other houses, but they are a fraction of the price. If you’re prepared to deal with REO properties than these unique opportunities might be perfect for you. In fact, the hardest part about dealing with REO’s is negotiating. Well with OpenOffer.com you don’t even have to worry about that, because they do all of the negotiating for you. So what are you waiting for? La Jolla is a gem. Plain and simple. 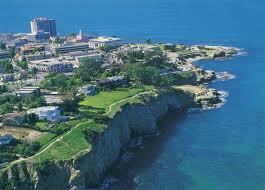 It’s a wonderful place to live and is home to one of the best communities in all of Southern California. If you’ve got the money and want to buy in a market that is doing nothing but growing, make La Jolla you’re new home.